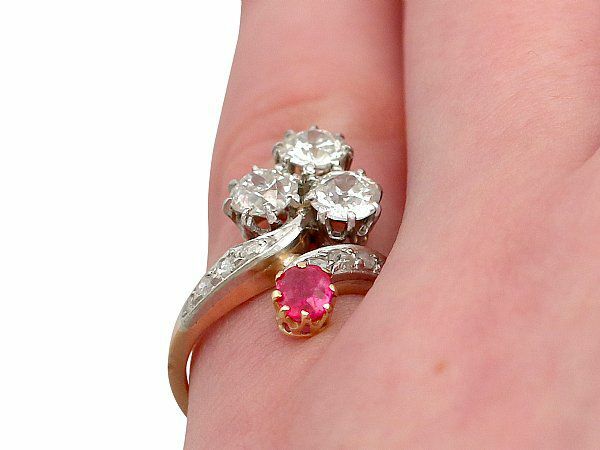 This stunning, fine and impressive antique French ruby and diamond ring has been crafted in 18ct yellow gold with a platinum setting. The twist design is ornamented with a 0.30ct round mixed cut ruby to the lower border of the design. The upper border is ornamented with three individually claw set feature Old European round cut diamonds arranged in a trefoil; 0.44ct, 0.41ct and 0.40ct. The platinum set twist design is embellished with a further eight pavé set Dutch cut diamonds to complete the design. 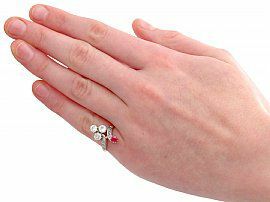 The subtly elevated ring shoulders integrate with the platinum setting and meld with the groove decorated shank. The ring is hallmarked to the outer surface of the shank with the French import marks for gold (owl) and platinum (masked man). 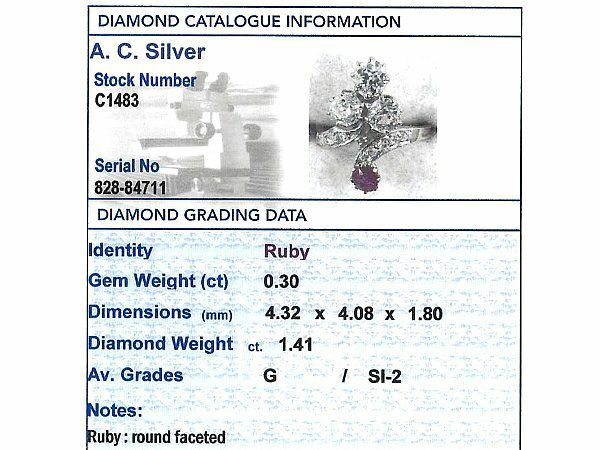 This stunning gemstone dress ring is supplied with three independent diamond grading certificates for the feature diamonds in addition to an independent diamond grading report card for the supporting stones. 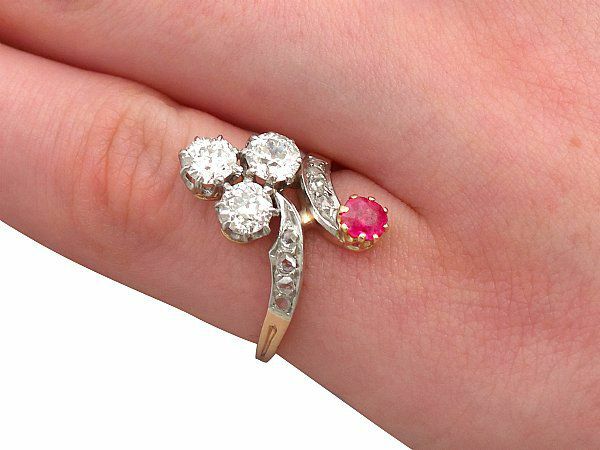 This stunning gemstone cocktail ring is fine quality set with an impressive ruby, showing some surface wear in keeping with age, and very well colour matched, very high colour graded old cut diamonds. 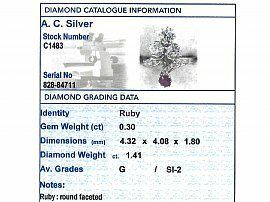 The ring is a very good gauge of gold and is in excellent condition with clear French import hallmarks to the outer surface of the shank.